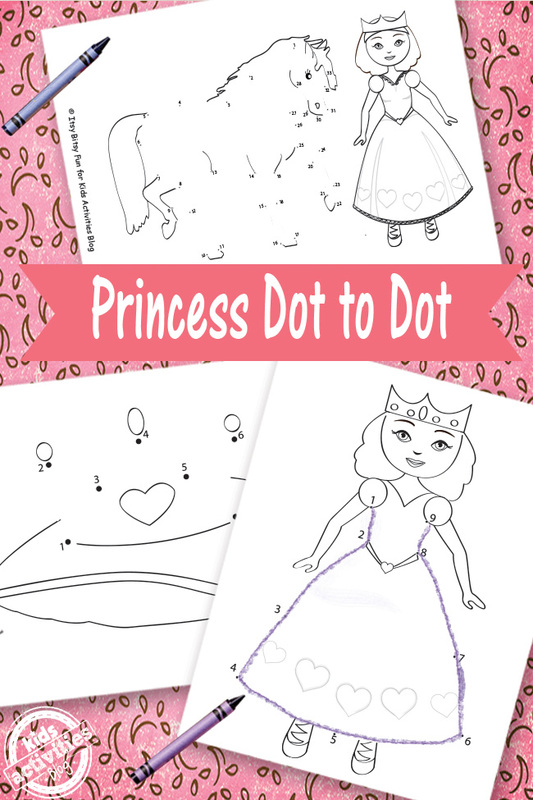 Let’s work on our counting skills with these fun and free Princess Dot to Dot printables! 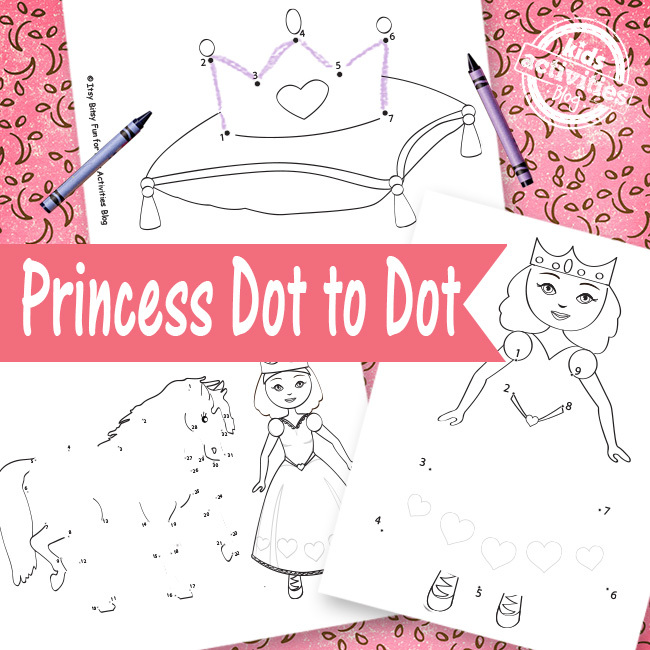 Dot to dot coloring pages are great for practicing numbers and developing drawing skills at the same time! Let’s put on a tiara and have some royal fun! I mean who doesn’t love princesses (OK girls probably love them a bit more)! 1 page with a simple crown (with numbers up to 7). 1 page with a simple princess (with numbers up to 9). 1 page with a princess face (with numbers up to 18). 1 page with a princess and her horse (with numbers up to 33). 1 page with a princess (with numbers up to 43). I really, really wanted to have a castle when I was a kid (size didn’t really matter – either a doll castle or a real one). If your kids want their own castle you can make that wish come true with this fun printable castle set. Let’s get crafty and make a bunch of adorable princess paper dolls (you can quickly make all of your kids favourite princesses). Also check this this DIY castle toy chest project.